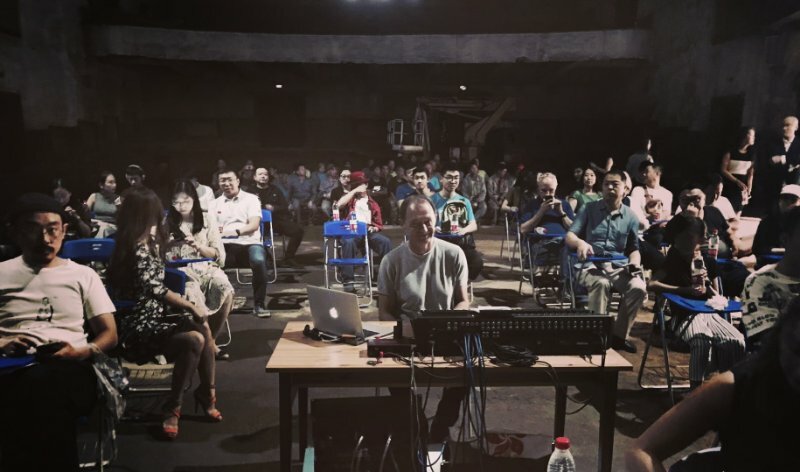 China Residencies: How and when did the Ailleurs Lab start? FL: Ailleurs Lab was actually founded in Taiwan in 2016. Two of our team member Yang Xiwen and Cheng En-Wei has been living in France for 8 years, when we both came back from Europe we had this idea to start a residency program mainly invite artists from China/France to come to Taiwan. Due to funding problems, this program has been on and off for a while, now we finally decided to settle this down in Shenyang, where the curator of the museum Yang Xiwen is from. We started Ailleurs Arts Museum in June 2018, followed with weekly art-workshop for children, then we are trying to take the residency program to the next level, which we want to open up for more international artist. FL: Ailleurs Residency is one of the programs we are running. I am the residency director and also the art director (mainly doing visual design) for the museum. Ailleurs Art Museum at the opening in 2018. CR: Can you tell us a bit about yourself and your background? You have a background in painting / graphic design and have been working as a program coordinator at Red Gate Residency previously. Am I correct? FL: I graduated from Edinburgh College of Art with an MA Degree in Contemporary Art Practice, before that I was studying interior design in Taipei. Funny that I was never trained in graphic design but somehow I have been doing a lot of it. I was an artist in resident myself in AIRY, Japan in 2016, since then I think I am in between self-employed artist and residency worker! Yes, I was the Red Gate Residency coordinator in 2017. CR: What made you start your own residency, and to which extent does it differ from the Red Gate Residency? 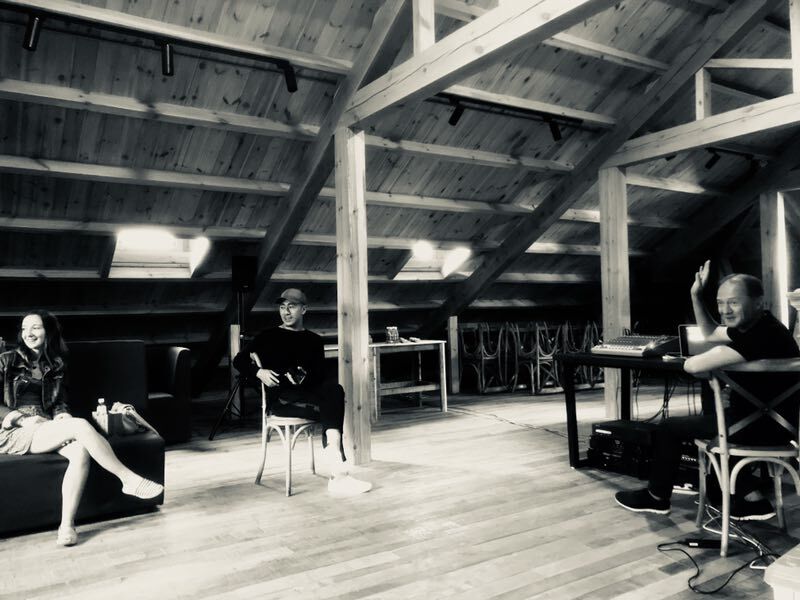 FL: I never thought I would start a residency program after working for Red Gate, it’s the time when I feel I had already given the best I could to support the resident artists and Beijing. I think in the big city like Beijing it’s more of what the city can give to the artist, here is the other way around, it’s about how artists giving back to the city, this is what interested me the most. Fang Tian Factory from the outside, one of the locations of the Ailleurs Lab. FL: Our core member was me, Yang Xiwen, Zheng En-Wei, Tao Ran, we all take care of different part of the residency. And 5 interns they are happy to help out too. CR: Can you talk about the facilities on site available to the artists? Where are the studios for artists in residence going to be? FL: Currently, we have an apartment in the centre of Shenyang, 1 double room, 1 single room, a living room, a dining room and a shared kitchen and bathroom. Artist studio is at the back of the museum, it’s a 200 square meter shared-studio. CR: What expenses does the residency cover? What the residency provide for artists? What must the artist provide for themselves? FL: Ailleurs Residency is a self-funded program with a limited budget, we cover management and maintenance and partial financial support with our partner, but we are unable to cover the renting, stipend for living expenses, materials or airfare. We encourage artist look for funding and we can provide support documents. 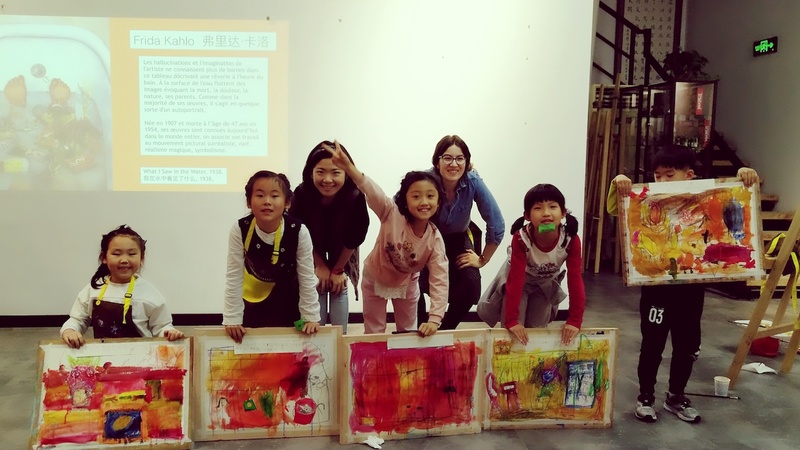 Florence at the kids workshop with Cheng En-Wei. CR: What kinds of artists does your residency host? Is it only for contemporary visual artists, or do you also accept proposals for film, new media, dance, writers, or other creative practices? FL: We don’t have any limitation to what kind of work artist do, any disciplines are welcome to apply. FL: We have hosted quite a few emerging French artists they just finished school, now we are hoping to have more mid-career artist who is interested in the Chinese culture or comfortable with Asian lifestyle. CR: What is the minimum and maximum length of the stay? FL: We are currently open for 1-3 months. CR: Have you already hosted any artists in residence so far? FL: Florence has surprisingly presented three types of work at the end of the residency, one “Moping(around)" performance gives a silence movement “wipe the ground” to discussed emptiness of existence and exhaustion. The other installation work is a series of astronaut prints display on the basement wall, to say existence is expressed in an infinitely short space of reality. Visitors can take down the print to write their dark and hopeful thoughts. Composer Paul Clouvel was an invited artist for sure, he brought his whole team here and gave us an artist talk before he starts the residency. It’s was also stunning to see he perform electro music at the still “under-construction” Feng-Tain Factory. CR: What are the do’s and don’ts? Are there any requirements or rules for the artists? FL: For the museum, try your very best to not damage the historical building. For Shenyang, try your very best to explore the city on your own! FL: They don’t have to leave work. There are no MUST do I think, but if artists are willing to participate in the kids workshop that would be nice. FL: No, we don't help artists in residence to sell their work. CR: Are other opportunities available for visiting artists to share their work with the public? FL: We are definitely leaving this option open, visiting artist can participate in the open studio to share their work with our residents. CR: How is the creative scene in the city of Shenyang overall? 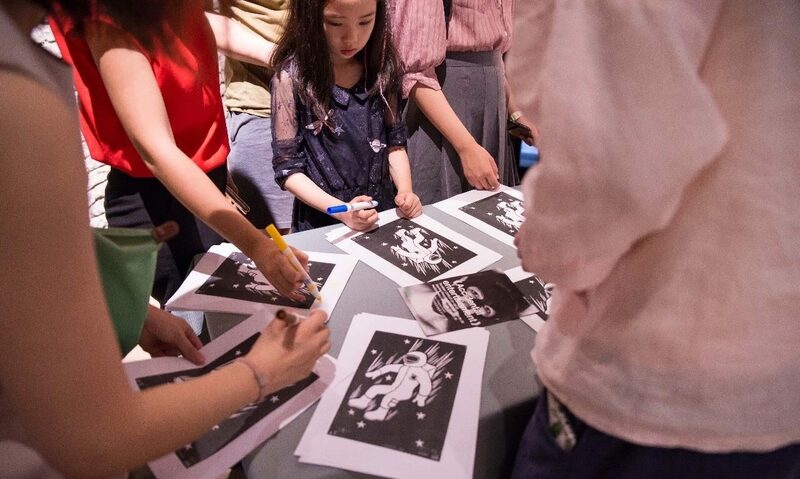 FL: Compare to Beijing, Shenyang’s art scene is not as lively as it. The finest culture district exist is 1905 Culture District (1905 文化创意园) in Tiexi. 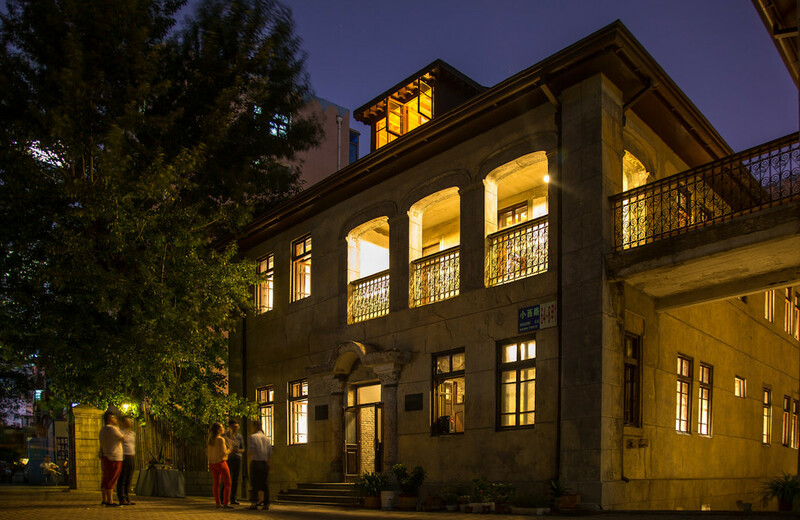 It is an old metalworking factory reconstructed into history, culture, art and leisure commercial building. There are art galleries, artist market, also host music/holiday festival sometimes. CR: Can you tell us a bit more about the opportunities you provide for residents to meet people in the local creative scene? 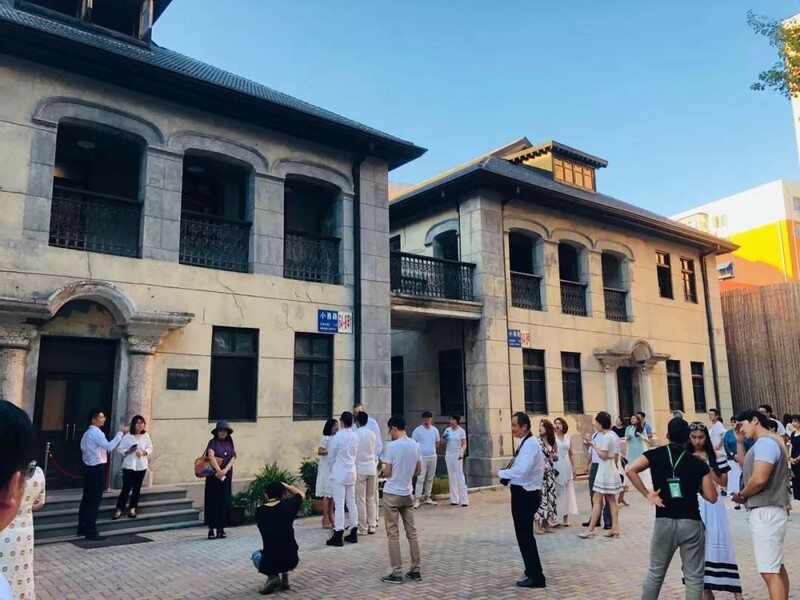 FL: We do have a strong connection with the local artists here and also with Lu Xun Academy of Fine Arts. The current exhibition “The Northern Temperature” was co-curated with the Academy and 22 local artists. CR: What are your future plans or next steps planned for this residency program? 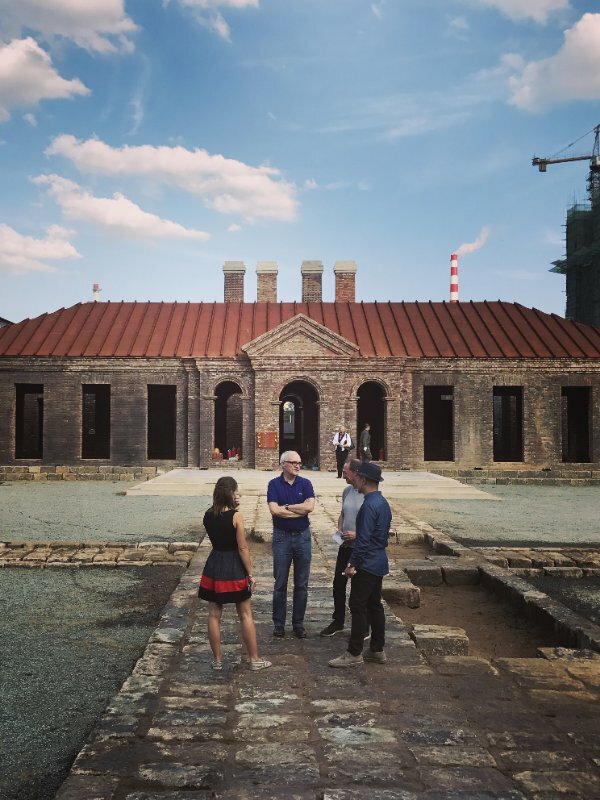 FL: We are looking forward to the official opening at the Feng-Tain Factory, therefore we could expand the residency territory there, also we are always looking for funding so we are able to send more local artist abroad. Ailleurs Arts Museum at night. FL: If there is a mission for art, I guess is to make this world a better place. Very cliché but that’s the only mission I could think of. Like our name “Ailleurs” is the French word for “elsewhere”, we all feel life is better somewhere else, and that’s also our goal to make artists and the local feel that way here. 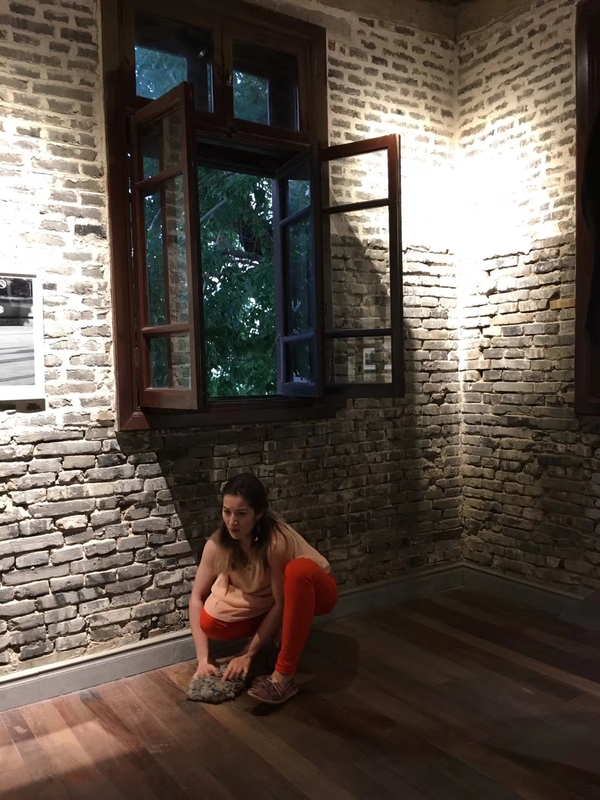 This interview was conducted by Xiaoyao Xu via e-mail for China Residencies in February 2019. All the photos and captions courtesy of Ailleurs Lab.